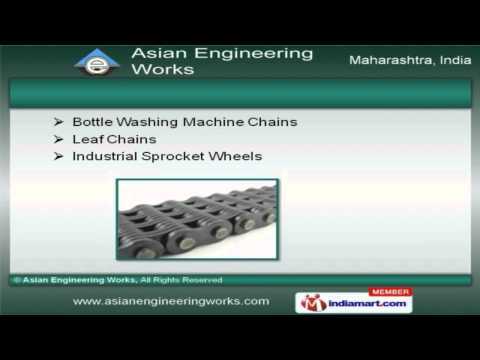 Welcome to Asian Engineering Works, Manufacturer and Exporter of Conveyor Chains and Sprocket Wheel. The company was established in 1980 at Mumbai. We are certified by BS & EN and our products applicable in Cement, Sugar, Food & other industries. Merit Transmission and Drives Entice are some of our esteemed clients and we are backed by impeccable design & fine finish. We offer a vast range of Conveyor, Industrial and Agricultural Conveyor Chains. Our Bucket Elevator, Attachment and Sold Pin Conveyor Chains are widely acclaimed in the market. We offer Transmission and Cable Drag Chains that are available at industry leading prices. Industrial Sprocket Wheels and Leaf Chains offered by us are nothing but the best solution for all your needs. Along with that we offer Conveyor Attachment and Honeycomb Conveyor Belts that are cost effective. We also provide Honeycomb Conveyor Belt for Food Industries that are acknowledged for their functionality.